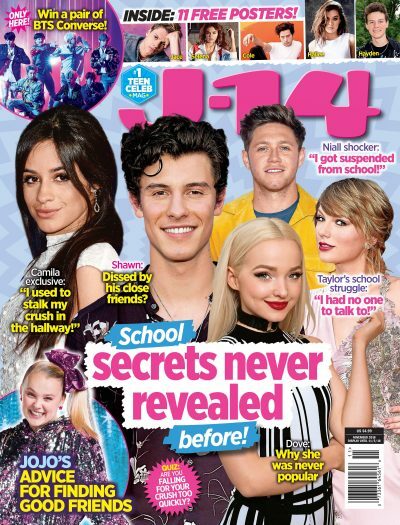 Everyone was pretty much shook to the core once photos came out of Niall Horan and Hailee Steinfeld kissing, confirming the longstanding rumors that the singers were indeed more than just friends. Well, everyone except the couple’s mutual bud Shawn Mendes. Our dear Shawn literally wasn’t surprised in the slightest that these two are oh so in love simply because he’s known the truth for quite some time now. “I thought this was common knowledge! But I guess it was common knowledge for me since I’m friends with them both,” Shawn said to Access. Umm, we’re not all part of Niall and Hailee’s inner circle, Shawn! But hey, we’ll let it slide since he’s out here confirming that yes, his friends are an item and he couldn’t be happier for them. And the love Niall has for Shawn is seriously just too pure. “I love Shawnie, he’s the man. He’s great. I went to watch his gig and I watched him at the O2 in London I was like this guy is 18 years old and he’s selling out arenas on his own all over the world. I was proud of him. He’s a good guy,” Niall said to Entertainment City back in 2017 about his friendship with the “In My Blood” singer. Of course, Shawn wasn’t kidding when he said that he’s super close with Hailee too. Hailee has spoken about Shawn really was there for her when she was first getting into the music biz, and he’s part of the reason why she really believed in herself. “I remember meeting him three years ago when I was just dipping my toes into the whole music thing and he inspired me to stay on,” she said to Fashion Magazine back in 2016. “He’s so kind, [and] even then, I knew he was going to be a big star.” How cute is that? So yeah, Shawn goes way back with both halves of the couple and clearly he’s given them his seal of approval.